When Pueblo Indians say, “The first white man our people saw was a black man,” they are referring to Esteban, who came to New Mexico in 1539. 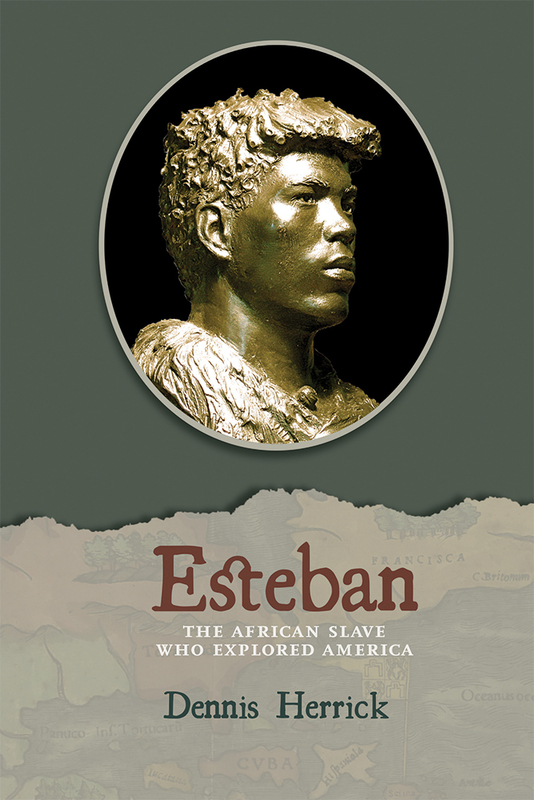 After centuries of negative portrayals, this book highlights Esteban’s importance in America’s early history. Books about the history of the American West have ignored Esteban or belittled his importance, often using his slave nickname, Estebanico. What little we know about Esteban comes from Álvar Núñez Cabeza de Vaca and other Spanish chroniclers, whose condescension toward the African slave has carried over into most history books. In this work Herrick dispels the myths and outright lies about Esteban. His biography emphasizes Esteban rather than the Spaniards whose exploits are often exaggerated and jingoistic in the sixteenth-century chronicles. He gives Esteban full credit for his courage and his skill as a linguist and cultural intermediary who was trusted and respected by Indians from many tribes across the continent. Dennis Herrick, a former newspaper reporter, editor, and publisher, is a lecturer emeritus of journalism at the University of New Mexico. He is the author of nine books and numerous articles and short stories, many of them about the Southwest and its Indian peoples. Herrick lives in Rio Rancho, New Mexico. Chapter Seventeen. Death? Or Freedom?